This is the one you've been waiting for! 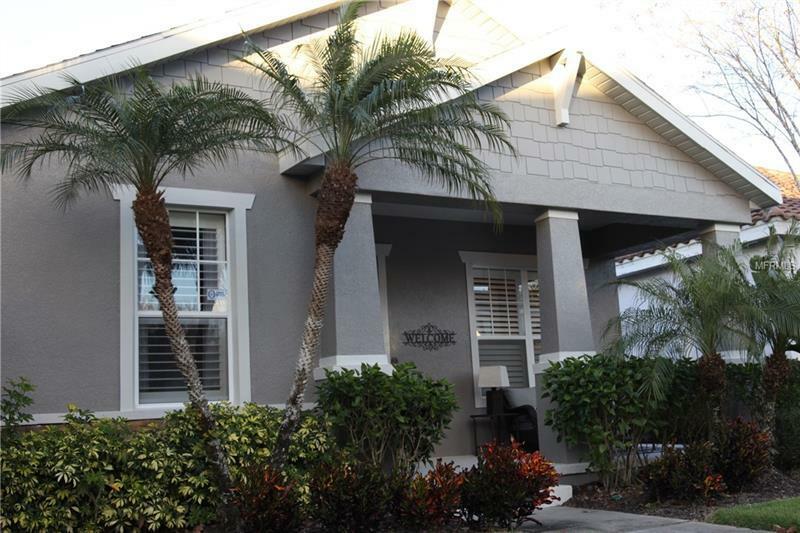 A beautifully UPDATED AND UPGRADED SINGLE STORY POOL HOME in award-winning Reunion Resort. Full time residents and investors both value THE GREAT AMENITIES AND FIRST CLASS REPUTATION THAT REUNION RESORT OFFERS - three signature golf courses, renowned water park, beautiful grounds, full service spa, numerous dining and entertainment options. The resort is an oasis of tranquility only six miles from Disney World. The house offers SO MANY FEATURES YOU OFTEN WON'T FIND IN NEW HOMES IN THIS PRICE RANGE - high end stainless steel appliances, espresso wood cabinets, granite/quartz countertops, kitchen pantry, plantation shutters, waterproof flooring (no carpet!) throughout, ceiling fans, upgraded frameless glass shower and separate soaking tub in master bathroom, framed mirrors, fenced back yard, two car garage with professionally installed overhead storage, a screen enclosure with generously sized heated pool and separate spa, spacious pool deck, covered lanai with ample room for outdoor grilling/dining, a charming covered front porch, pool automation and smart door locks. There's even a built-in murphy bed in front bedroom that can be retracted so space can be used for office/entertainment when bed is not needed. HOA fees cover guard gate, 24x7 security, landscape maintenance, pest control and cable TV. Move right in and start enjoying all that central Florida has to offer!! Amenities Additional Fees: Optional membership can be purchased for golf, tennis and water park access.